Hagit Ofran of Peace Now says government decision to recognize Havat Gilad is a significant, serious, dramatic and important decision. 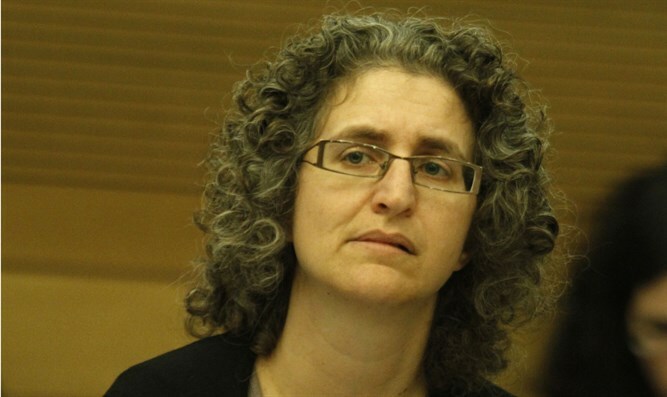 Hagit Ofran, a senior member of the leftist Peace Now movement, on Sunday evening warned that the government's decision to recognize Havat Gilad as an official community was a serious and dramatic decision. "The government's decision today to establish the settlement of Havat Gilad (the fifth settlement officially established since 1991) is a dramatic and important decision. Since the implementation of the permit will take a long time, there are those who claim that this is a declaration for propaganda purposes only, but that is not the case," Ofran wrote on Twitter. She noted that the decision to recognize Havat Gilad is a government decision and not a mere "declaration". She also said that cabinet ministers have already declared several times since the murder of Rabbi Raziel Shevach their intention to legalize the outpost, and this time it is not a press release, as she put it, but rather a government decision, which has a binding legal significance. "In Havat Gilad, the legal barrier is particularly difficult because these are lands privately owned by Palestinians - but there are already some indications of the legal acrobatics that are planned to approve the outpost," she claimed. She expressed concern that "the momentum of construction in Havat Gilad, which began immediately after the murder of Rabbi Shevach, will likely continue even more intensely - even without any legalization, because it is clear to the settlers that the government will not enforce the law." On Sunday morning, the cabinet unanimously approved the proposal to recognize Havat Gilad as an official community. Havat Gilad was founded 15 years ago on land legally purchased and privately owned by Moshe Zar. It is named for Zar's son Gilad, who was killed by terrorists, but did not obtain official Interior Ministry recognition as a Judea and Samaria community and therefore the government did not invest in its infrastructure. The recognition of Havat Gilad came a month after its resident Rabbi Raziel Shevach, a 32-year-old father of six children, was murdered on January 9 in a terror attack near his hometown. Rabbi Shevach's widow, Yael, welcomed the news of the official approval of Havat Gilad earlier on Sunday. Yael said in response, "It's a shame that we have reached this day. But if we are already there, then I am glad we are able to get the most comforting answer we can from it. Raziel would certainly have said that the Hallel prayer (recited to commemorate days of national salvation -ed.) should be said, and that this is how redemption looks."